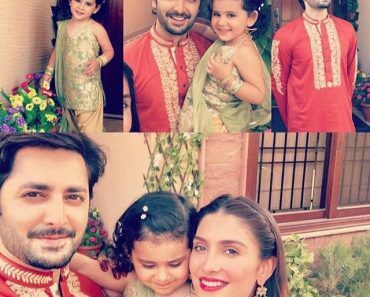 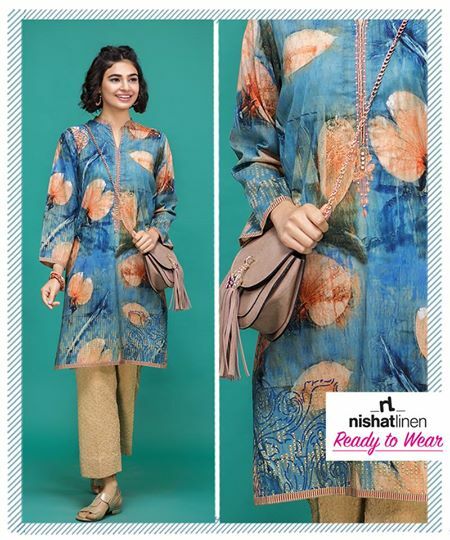 Nishat Linen has launched the spring summer lawn dresses designs for women wear with price tag in these collection kids dresses are also include. 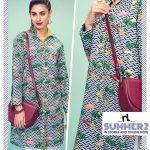 Printed lawn dresses with floral catalog Nishat Linen fabric at this Spring summer wear Lawn dresses designs.Vibrant and trendy digitally printed ready to wear lawn shirt jeweled up with beautiful detailing on the front placket, round neck slit and straight hem; perfect summer wear for girls to beautify the look. 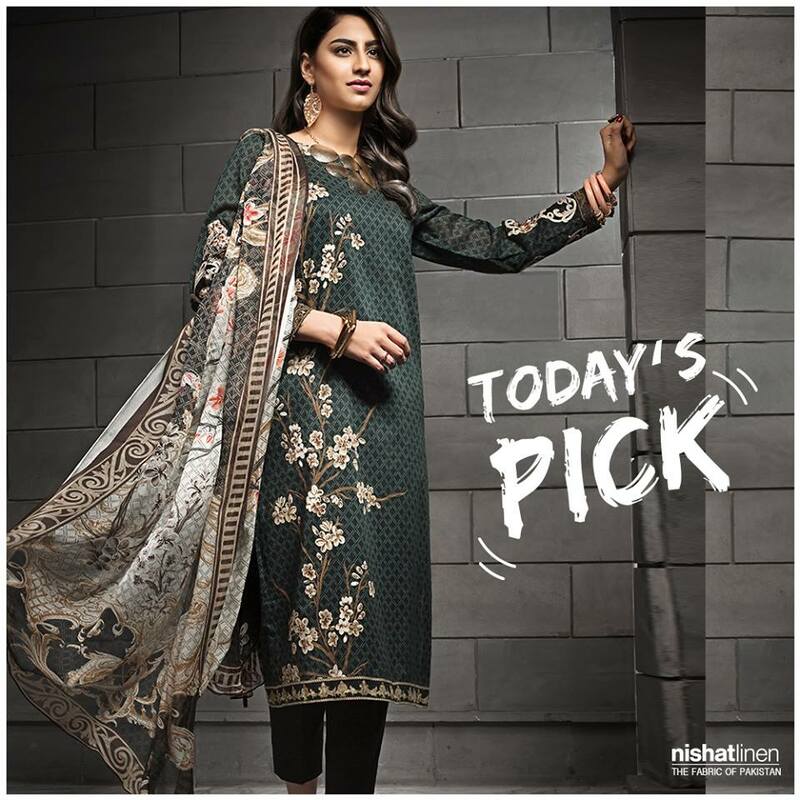 Our today’s pick includes elegant and classy black colored unstitched three piece dress with intriguing details ! 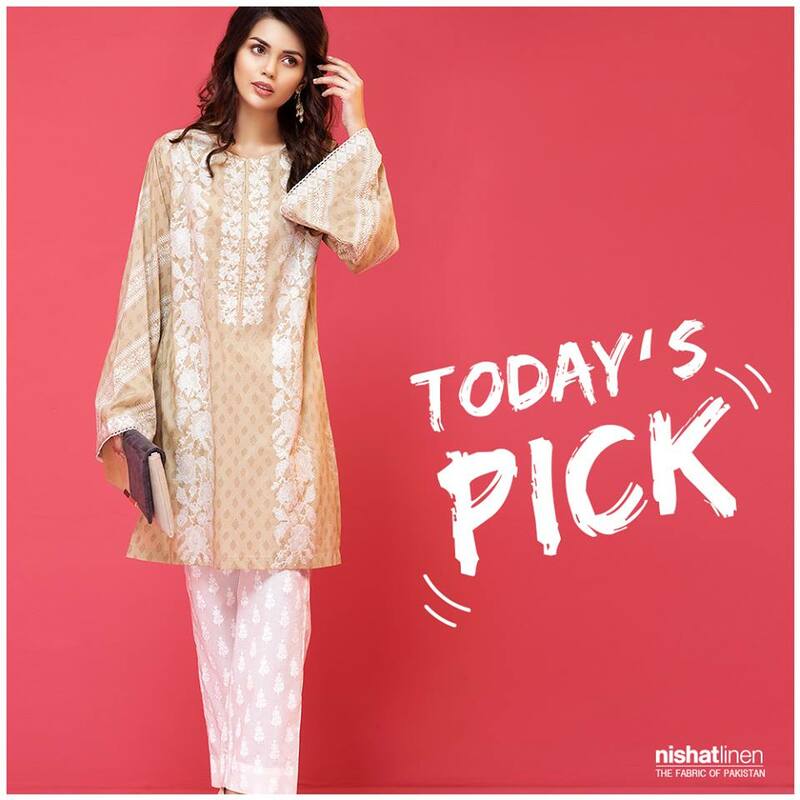 shop the stunning look by visiting our stores or shop online at. 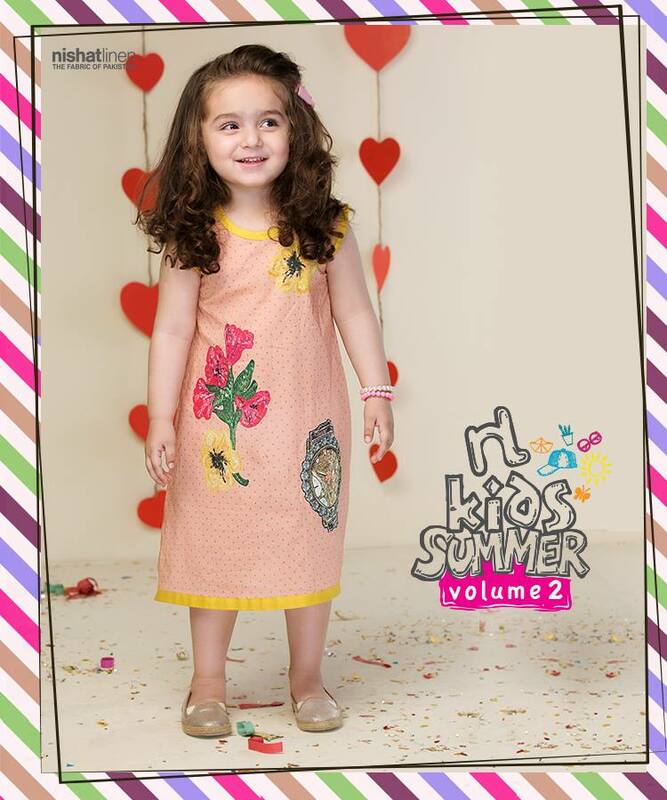 Adorable white colored digitally printed lawn stitched frock; perfect summer wear for little girls ! 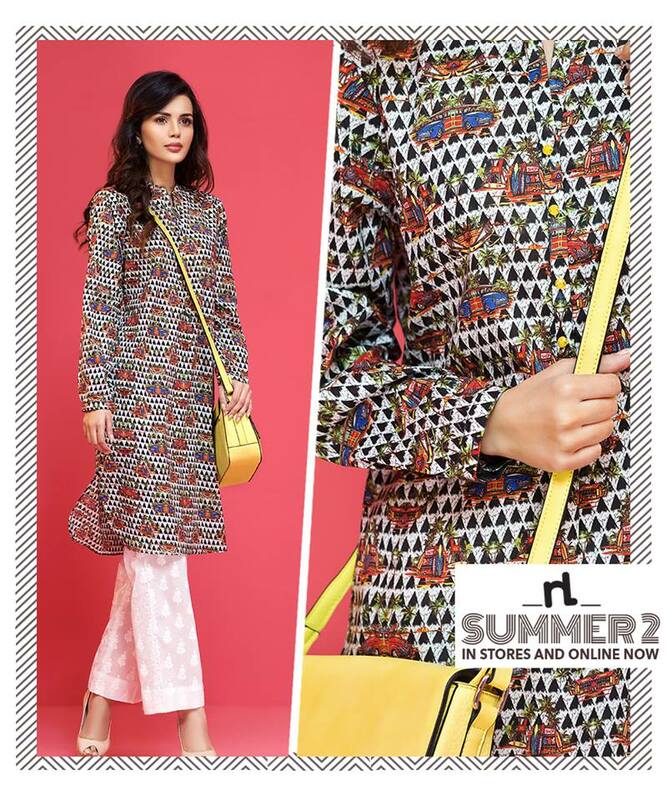 Price PKR 1,650, Trendy and uber chic digitally printed ready to wear lawn shirt adorned with a round neck slit, piping and straight hem; an ideal university outfit to wear in summers. 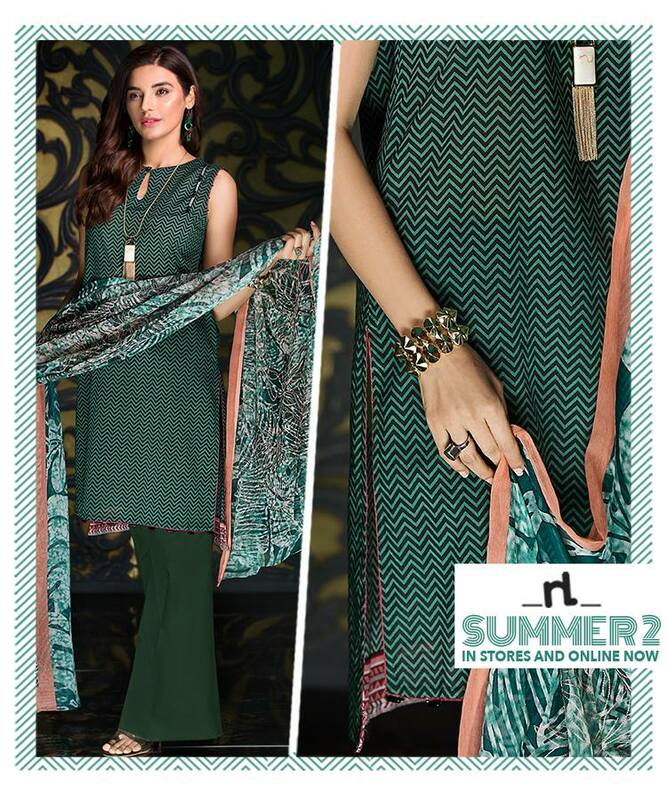 Price PKR 2,500. 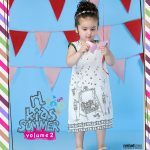 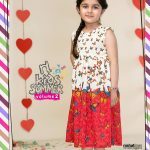 Digitally printed lawn frock for your little barbie doll ! 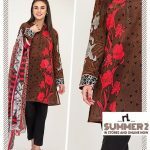 Price PKR 1,550 Our today’s pick includes printed ready to wear shirt with embroidered on front panel and sleeves from NL Summer vol 2 – Shop the stunning look by visiting our stores or shop online at Elegant and classy unstitched three piece dress with printed charmeuse chiffon dupatta, geometric and floral printed lawn shirt with embroidered sleeves border and dyed cambric trouser. 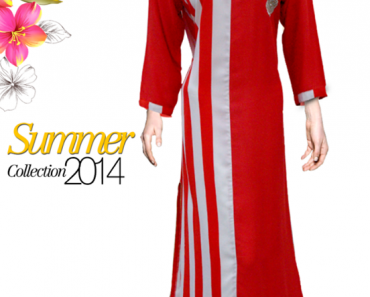 perfect casual wear to beautify the look. 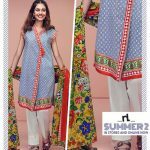 Price PKR 3,400 Description: Unstitched 2PC Printed Lawn Dupatta (100% Cotton) Printed Lawn Shirt Front and Back (100% Cotton) Trendy and uber chic digitally printed lawn stitched button down shirt jeweled up with the stylized collar and slightly shaped back yoke. 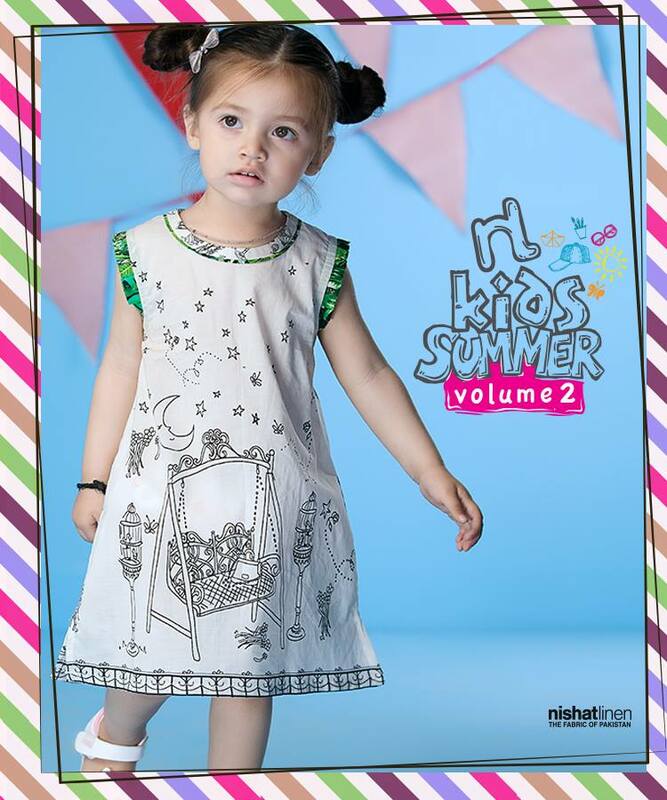 Adorable white colored digitally printed lawn stitched frock; perfect summer wear for baby girls. 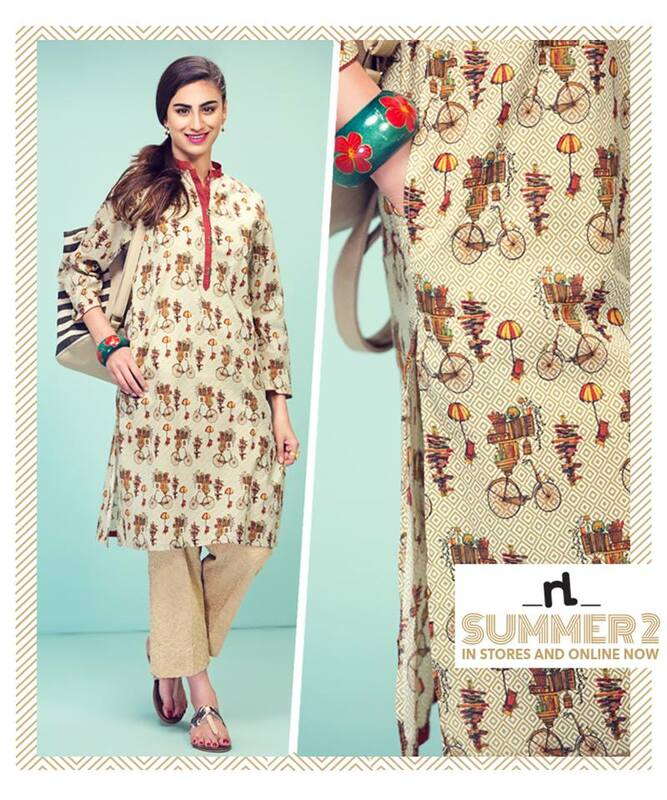 Price PKR 1,880, Visit your nearest NL outlet or shop. 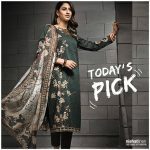 Elegant and classy green colored unstitched three piece dress with printed silk chiffon dupatta jeweled up with embroidery, geometrically printed lawn shirt and dyed cambric trouser an ideal formal wear for summers. 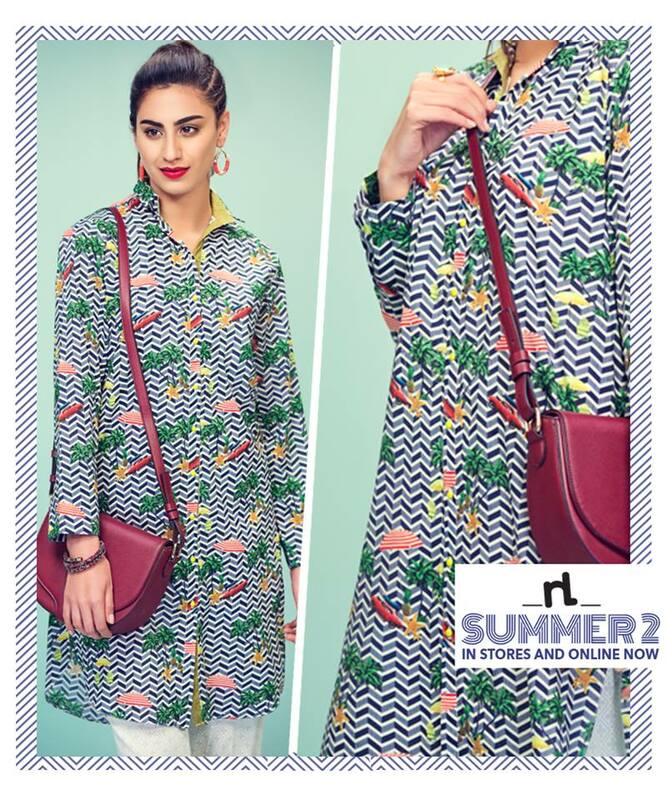 Trendy and uber chic digitally printed lawn stitched shirt jeweled up with band collar neck, beautiful detailing on the extended placket, side pockets and cuff sleeves. 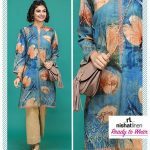 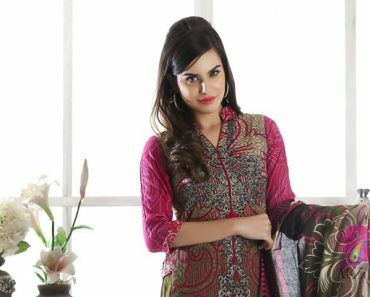 nishat linen summer Chiffon collection 2017 with price. 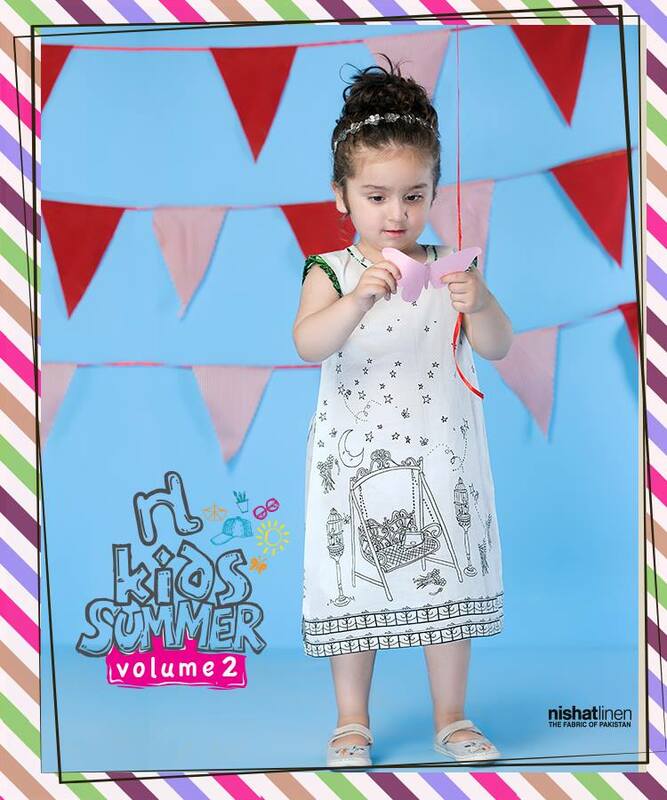 Adorable white colored digitally printed lawn stitched maxi, perfect summer wear for little girls ! 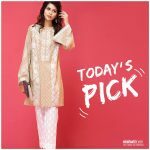 Price PKR 2,250. 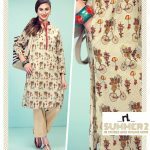 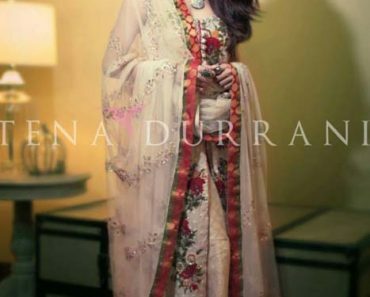 Elegant and trendy and unstitched three piece Lawn dress with printed silk chiffon dupatta jeweled up with embroidery, henna design printed lawn shirt and dyed cambric trouser; perfect party wear for summers. 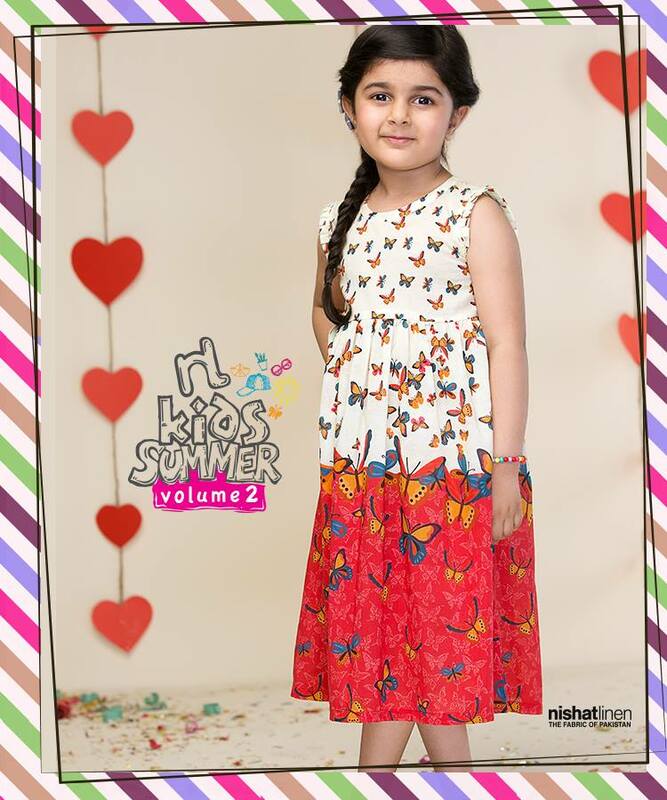 Floral Printed maxi dress with applique detail on front panel to make your barbie standout ! 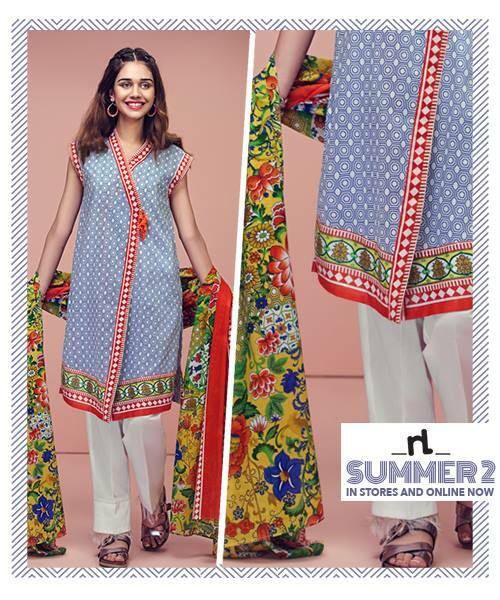 Price PKR 1,850, visit your nearest NL store Trendy and stylish digitally printed lawn stitched shirt jeweled up with a loose band collar neck, beautiful detailing on the placket, straight sleeves and one-sided pocket; perfect university wear for girls to adorn the look.